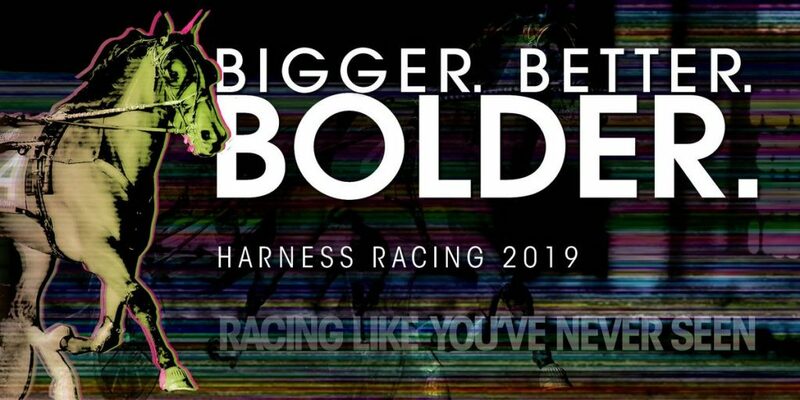 The horse racing world is in the peak of foal arrivals and Indiana continues to get new names added to the list daily. 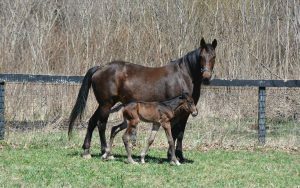 One of the latest additions is a filly born Tuesday, April 9 at the Dr. Alan White Farm in Fountain City, Ind. The filly was 11 days overdue but the delay was worth the wait as she’s a healthy daughter of the first crop sire Dover Dan. The filly is the sixth foal out of Glide Sally Glide, a Yankee Glide mare that earned more than $110,000 during her career with a best time of 1:56.1. 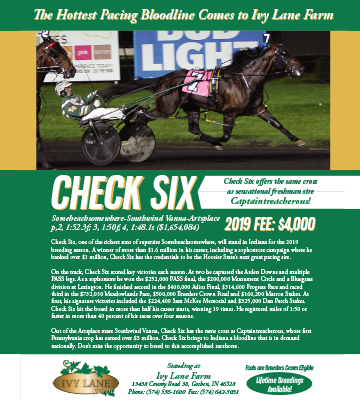 She has been a near 100 percent producer up to this point with four of her five foals of racing age taking a record of 1:58 or faster. 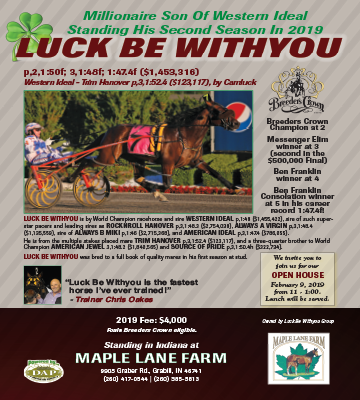 The newest member of the White family is a half-sister to the standout trotting filly Just Jess, who has earnings in excess of $342,000 and a mark of 1:54.4. Glide Sally Glide has a three-year-old filly by Swan for All and a two-year-old colt by Jailhouse Jesse, just like his talented sister Just Jess. 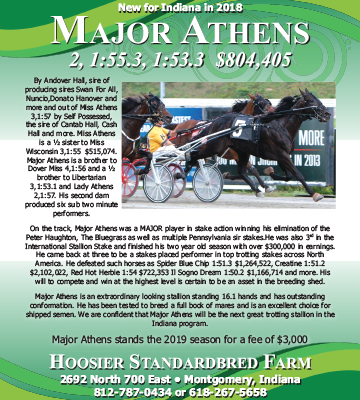 Dover Dan, a son of Andover Hall, bred 137 mares during his first season of breeding. 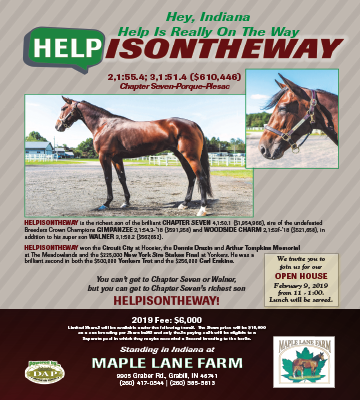 The half million dollar earner stands at Ivy Lane Farm in Goshen, Ind. under the management of Cornerstone Farm. His stud fee is $3,500.